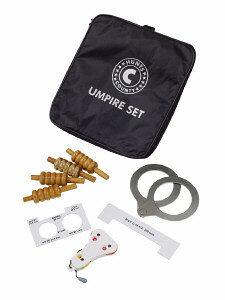 Umpires set in a handy zipped carry case comprising of spare bails, counter, stump, bat and ball guages. Please note we will send you the best available product at the time of your order. NB. Brand name may vary from the picture shown.